Apple has always shown willingness when it comes to promoting the iPhone and its camera’s power and capabilities. The company’s French and English YouTube channels are pushing that agenda by recently sharing a stunning short film by French director Michel Gondry, which was not only funded by Apple but also entirely shot using the company’s iPhone. 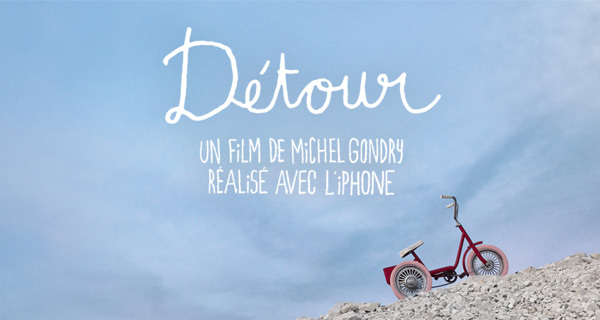 The 11-minute short film titled “Détour”, follows the journey of a small tricycle as it powers along the beautiful roads of France in search of its young owner. That’s probably not a synopsis for a movie that would ever make it to Hollywood, and it certainly isn’t going to be the next Tom Cruise or Denzel Washington blockbuster, but for a short film it’s a pretty unique and heartwarming concept. Apple may have shared the short film over the Internet, but has also given viewers some additional gold to sink their teeth into. In addition to the 11-minute short film, there are six additional videos that attempt to offer tutorials to viewers and give highly-welcomed hints and tips on how to use iPhone for shooting captivating videos in various conditions and environments. As an example, viewers will be able to get some perspective tricks when using iPhone for video recording, as well as how to shoot slow-motion video and even creating stunning time-lapse media. It seems that Apple is looking to make quite a big deal about this Michel Gondry short film. It has already been shared by the company for the world to see, and Apple will also be airing the video at its Marché Saint-Germain retail store in Paris today. The director of the film will be present in-store to answer any questions that any viewers may have about the movie itself, or how it was actually created using purely the iPhone. Check out the videos embedded below for yourself and see what you think of the short film. It’s definitely worth 11-minutes of your time to see what’s actually possible on today’s smartphones. Additionally, if you happen to be in the area, it could be worthwhile checking out the showing of the film at the retail Apple Store.